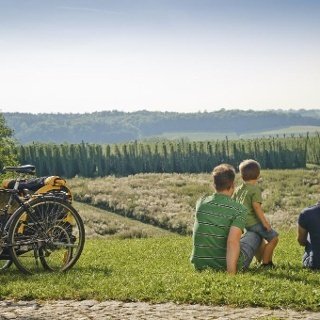 This circular tour takes you through Abensberg and Kelheim. 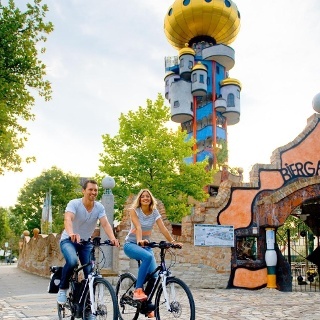 Highlights like Weltenburg Abbey at the Danube Gorge and the Kuchlbauer Tower await the cyclist. The Weltenburg Tour can be started from the town square in Abensberg. From there the route leads out of Abensberg and towards Sandharlanden, known for asparagus and strawberry growing. Passing the Sandharlander Heide nature reserve it then continues via Holzharlanden to Weltenburg. 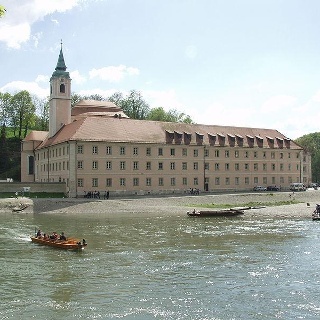 This is where the first cultural highlight of the tour awaits: Weltenburg Abbey, where the impressive Asam church and a beer from the abbey brewery at the abbey bar are worth a break. 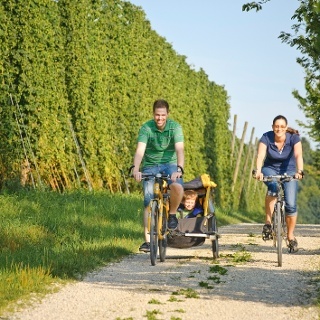 After that, those who want to take the energetic option can follow the cycle path uphill over Weltenburger Berg to Kelheim, whereas those who prefer a more relaxed mode of travel and would like to see the Danube Gorge and the Weltenburger Enge nature reserve from the water can simply board one of the regular excursion boats. On reaching Kelheim there are more sights to be seen, such as the Liberation Hall built by order of King Ludwig I, before continuing to Saal an der Donau. From here you also have the option of returning to Abensberg by train if the weather is bad. Otherwise, the route leads on out of the town, passing extensive meadows and fields, small ponds and woods and so back to Abensberg, the “Gateway to Hallertau”. You return to the historic town centre through the Regensburg Gate, a late mediaeval tower. 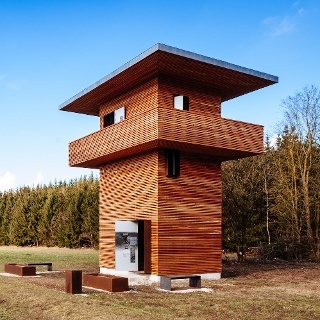 You should allow some time to see this and also for a guided tour of the Kuchlbauer World of Beer and the tower built to plans drawn up by Friedensreich Hundertwasser and the KunstHausAbensberg exhibition centre. The beer garden right next to the tower is a pleasant place to stop and relax at the end of the tour. The river trip from Weltenburg Abbey to Kelheim is not to be missed – the Danube Gorge is particularly impressive when seen from the water. Of course you can take your bicycles with you on the boat. Anyone travelling with children should make a detour to the bird and animal park in Abensberg. It is possible to travel by train arriving at Saal an der Donau station.